Southgate Golf Course can be a walkable course for those looking to mix in a little exercise with their golf game. This is a “doable” course that weaves alongside the Santa Clara River – just close enough to make it beautiful and keep the game interesting. Eight of the first nine holes have water features, so you’ve got to be accurate. But the fairways are wide, so there’s usually a safe place to play. The back nine, however, is a different story. The narrow fairways and hills make you justify your front nine score. If you’re not happy with your results, Southgate also has a game improvement center with PGA professionals to help you dial things in! Southgate Golf Course has multiple personalities. Laid out as a great walking course, the front nine requires accuracy to successfully negotiate its aforementioned waterways. The back 9, slightly longer than the front nine, adds the element of risk/reward and allows the player to recover shots lost on the front nine. 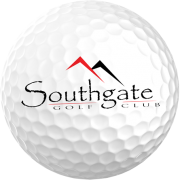 Southgate Golf Course is a par-70 layout which is enjoyable for all levels of ability. Southgate Golf Course is one of the most player friendly courses in the area. Southgate has undergone extensive redesign over the past 15 years. The front nine meanders along the beautiful Santa Clara River while the back nine traverses the foothills of Tonaquint Mountain, providing stunning views of downtown St. George with its red rock backdrop. Southgate is a great golf course for those looking for an enjoyable round of golf as opposed to a brutal test of your skills. Southgate Golf Course also features a game improvement center with award-winning PGA professionals and instruction programs.